New Delhi: BJP leader G V L Narasimha Rao on Friday addressing a press conference at the party’s headquarter, in New Delhi slammed Ashok Gehlot over his remark on President Ram Nath Kovind. The BJP Leader, demanded an apology from Rajasthan Chief Minister Ashok Gehlot for his remarks suggesting that Ram Nath Kovind became president because he was a Dalit. 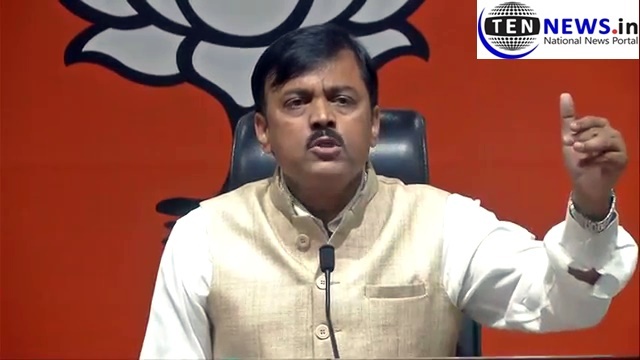 “It is very unfortunate that Rajasthan Chief Minister Ashok Gehlot, a senior Congress leader who himself is on a constitutional post made casteist remark against the president, who is the custodian of the Constitution,” BJP spokesperson GVL Narsimha Rao said. The BJP leader, party also attacked Congress president Rahul Gandhi for his speech in Nanded. “Rahul Gandhi cannot accept the fact that a person from humble background, who is from a backward community, has become the Prime Minister today. For Rahul, only families can rule India,” Rao added.